Keys to a successful retreat. Set apart for God's Glory — We are. High quality meeting rooms — We have those. Great Activities — We have those. Comfortable housing and excellent meals — We have those. To have a successful retreat your group needs a dedicated camp staff willing to do whatever it takes to meet the needs of your group. We do that! When you bring your group you can be assured that the stage has been set to accomplish your goals for your retreat. 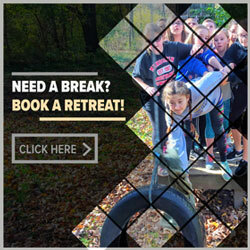 View and print our Retreat Information Package. This is an nice full color Acrobat document that you can view on your computer or print and distribute. It is 4.3 mb. Our main goal is that your retreat is a success. To that end, we will work with you to ensure this result. 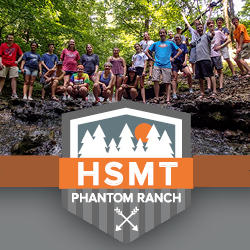 Phantom Ranch is designed to make your retreat a success. We enjoy the partnership we have with churches to enable them to be successful in their ministry. 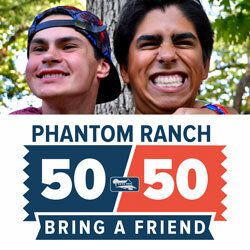 Whenever you are looking for Christian Camps in Wisconsin, consider Phantom Ranch. Hundreds of groups each year choose us to be their Christian Retreat Center. Groups come for Church Retreats from Illinois, Milwaukee, Northern Illinois, and Southern Wisconsin. We have groups do Lutheran Retreats, Hispanic Retreats, Methodist Retreats, Bible Church Retreats, and Christian Organization Retreats.